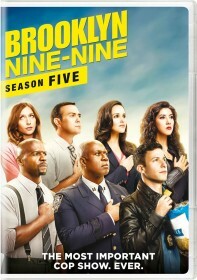 You are viewing a list of Miles Platt's 2 appearances on Brooklyn Nine-Nine. When Jake meets one of his heroes, Jimmy Brogan, a former crime reporter, he tries to emulate his hero's old fashioned attitudes. His infatuation with the old-style reporter ends after Jake makes some drunken comments about the precinct which Brogan sees as "on the record". Meanwhile, Terry and Charles coach Rosa on how to appear on the witness stand.